3 days drooling around Bandung! 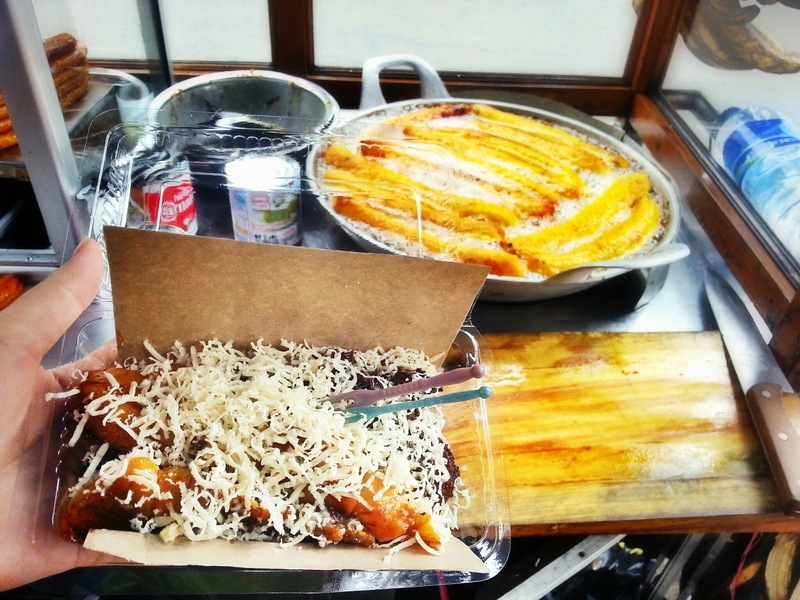 Bandung is known not only for their factory outlet, but also for their delicious street food. There are many famous street food around, and I’ve collected some photos so that you know what street food you should eat too! This is fully based on my own opinion, so feel free to correct me if I’m wrong ! 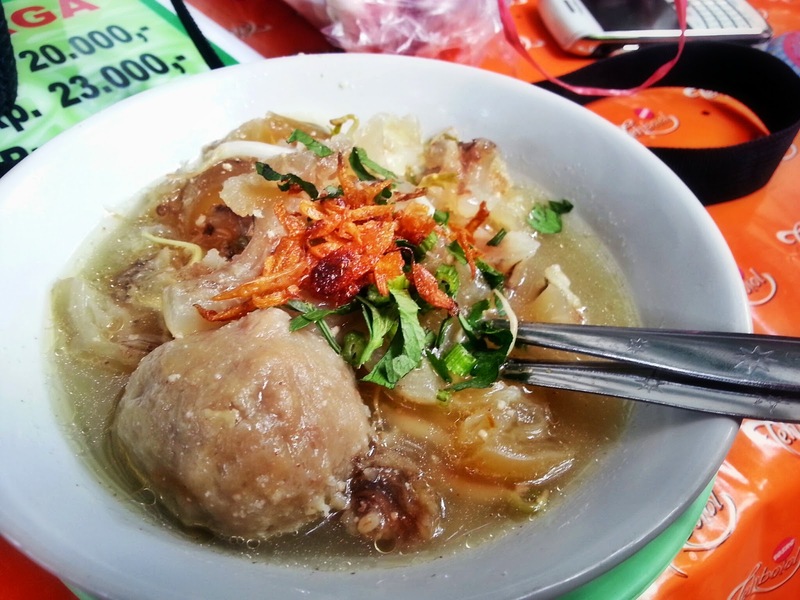 This is the most famous food come from Bandung. 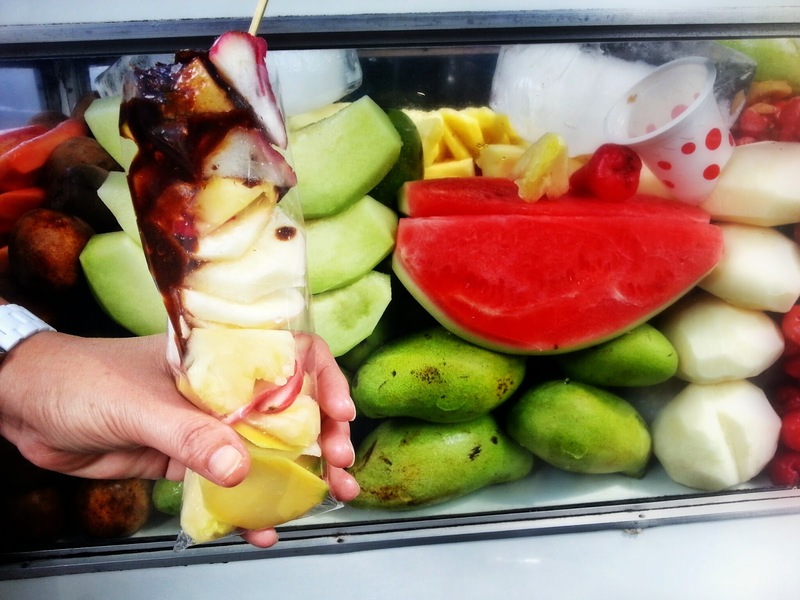 You haven’t been to Bandung if you haven’t eat this! I don’t really like Siomay, I prefer Batagor more because for me it’s more crunchy, oily, and it’s more yummy, hahaha! But, my father prefer Siomay since he doesn’t really like fried food. 1 portion consist of 5 pieces. You can add more if you like. The choices are : Batagor, Siomay, Tahu (Tofu), and some vegetables. I always choose Batagor for all 5 since I only like those. Juice Price : IDR 12,000 up, depending on what fruit. The way to cook it, you need a ripe bananas, heat the oil, and fried the banana until it’s brown. Then, you can choose the flavour, there are chocolate, cheese, sugar, and original. My favourite : Chocolate and Cheese! It’s really savoury and you will crave for more! You can choose the fruit, and the seller will chop it for you. Unlike the usual Rujak seller – they usually put the fruit on the plate – the ones in Bandung chop it and put it into plastic so you can carry it around. Really creative right? 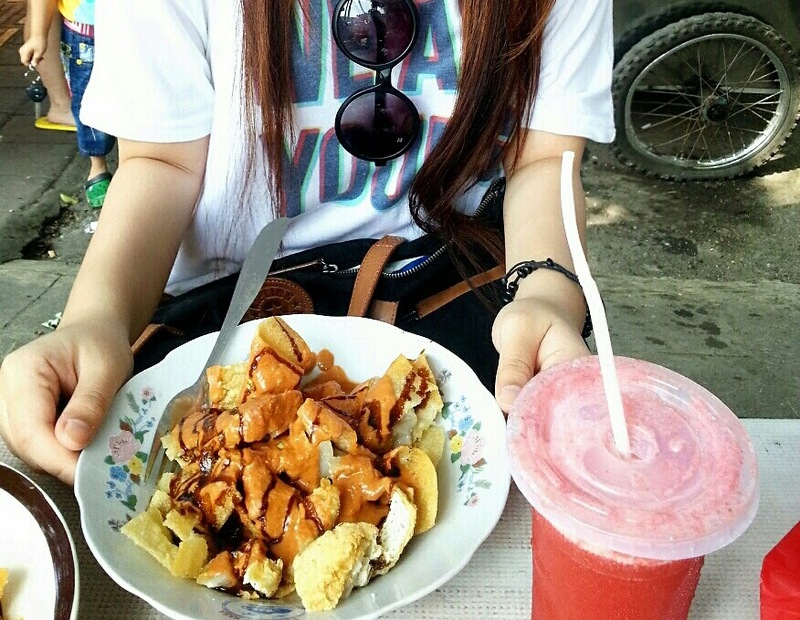 You can tell a Rujak is delicious or not by the sauce that they made. Note : the sauce is a bit spicy. Well, because fruit taste almost the same as long as it is a good fruit right? hahaha. Bakso is a meatball in English. Kikil is basically a part of beef, located near the cow legs. Believe me, the Kikil they sell here is very soft and chewy. It’s really tasty! You should put some more seasoning like ketchup and chilli to make it even more tastier. Otak-otak is made from fish, and then you grill it on the top of charcoal. For the sauce, they use a peanut sauce, mixed with chilli and tomato. 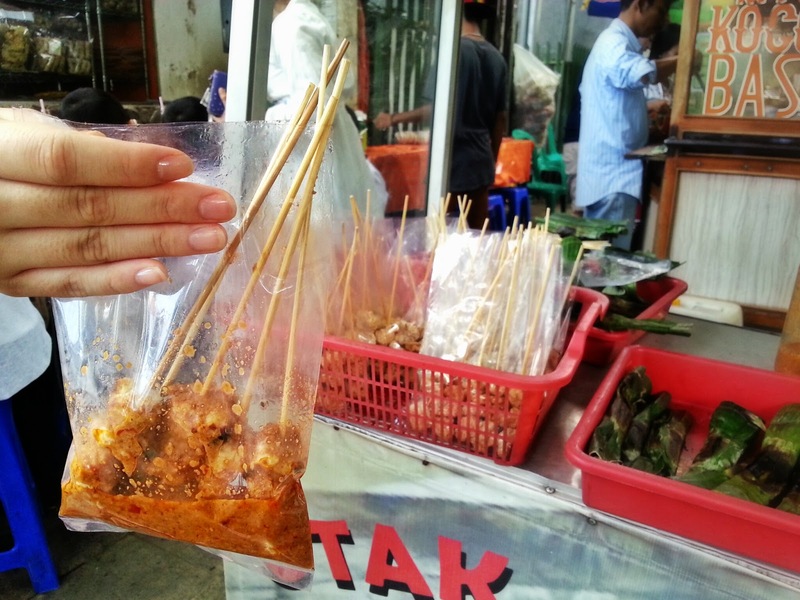 Tahu Gejrot is basically a fried tofu mixed with garlic, chilli – a very hot one – and some sauce. It’s really delicious and a must try, especially if you’re a chilli and tofu lovers! P.S : Prepare a tissue for your sweat! In front of The Heritage, Jl. Riau / R.E Martadinata. It’s located on the small food court beside Heritage. For Indonesian, you must be confused. Kerak Telor is actually Jakarta famous street food. But well, since I haven’t got a chance to tried Kerak Telor in Jakarta, why not eat it in Bandung? Hahahaha. What makes them unique is the way the seller cook the egg. The word Kerak is a “dried part”, and the seller will cook it by flipping back the frying pan. Got something more? Feel free to tell me! Well, stay tuned on more Bandung Posts on this blog. D&K Dessert & Cafe Shop, A Great Place for Hangout! Paradise Dinasty: A True Paradise for Chinese Food Lovers!